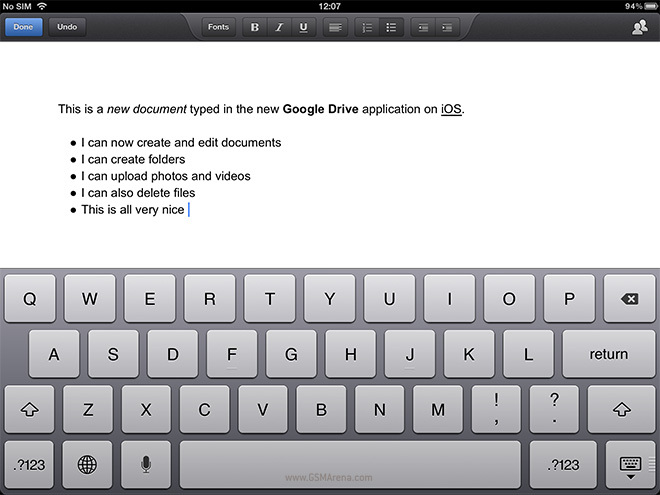 Good news for those using Google Drive on iOS. The latest update for Google Drive brings about a wealth of features previously reserved for the Android edition of the app. The biggest and most welcome feature is the ability to create and edit documents. Spreadsheets and presentations, however, are still limited to view-only. In addition, documents are updated in real time, so any changes made elsewhere (from other devices) would appear immediately. Also, iOS users now have the option of creating folders and moving files between them, as well as the ability to upload photos and videos, delete files, and snap photos from the camera. Finally, Google also promises “a richer Google Presentations”. The update for Google Drive is now available at the App Store here.